The Orthopedic Crate Mat by Sleeping Gnome makes your dog's crate more comfortable for relaxing or sleeping. Made of soft foam with a fabric covering, this cozy cushion is perfect for any dog. Available in three sizes and all sizes are two inches thick. 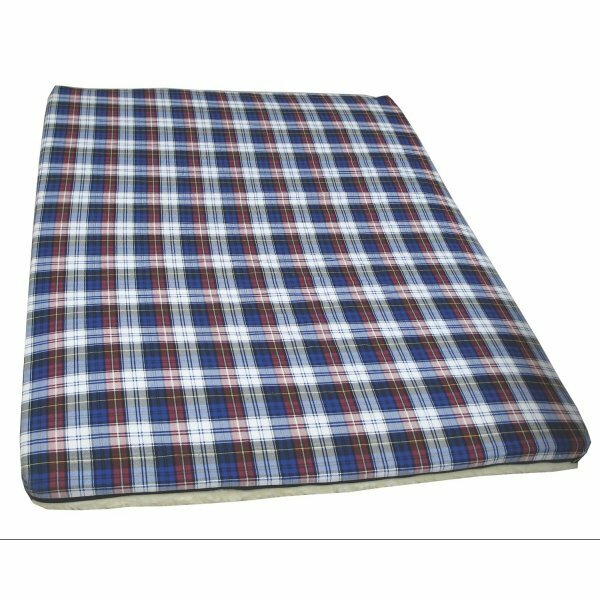 Orthopedic Crate Mat for Dogs has different options and/or variations, please choose below. The Orthopedic Crate Mat by Sleeping Gnome makes your dog's crate more comfortable for relaxing or sleeping. Made of soft foam with a fabric covering, this cozy cushion is perfect for any dog. Available in three sizes and all sizes are two inches thick. Fabric covering comes in a variety of patterns and solids. One side is fabric and the other fleece. Cover is removable and washable. Sorry a specific color or pattern cannot be chosen. Small is 20" x 20" x 2" (LxWxH). Medium is 24" x 39" x 2" (LxWxH). Large is 36" x 48" x 2" (LxWxH). Sizes are approximate. Pet mat for floor or crates. ASSORTED 36 X 48 in.